As I’ve written in previous posts, connecting with wonderful people around the world is one of the most fun aspects of the bookplate business. And hearing the creative ways people are using bookplates is icing on the cake. Our non-personalized bookplates, which are sold on our site in quantities as small as 20, have become quite a popular item. Recently, Etta wrote about using Design B211 for her Gramercy Park-themed birthday party in the fall of 2013. Gramercy Park is a private fenced-in park located within the Gramercy Park Historic District in Manhattan. According to the NY Times, the park has been fenced in since the 1830s and locked since 1844. In 2012, only 383 keys were in circulation, all given to residents of the historic district. 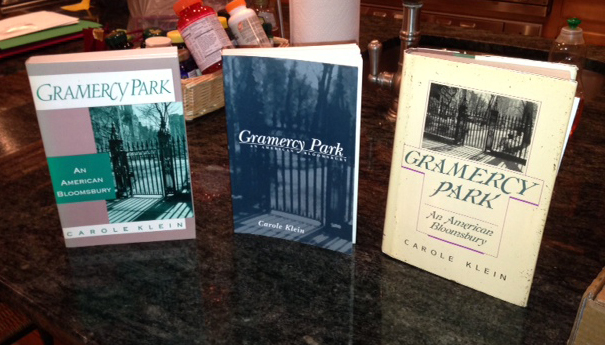 Etta ordered copies of the book Gramercy Park, An American Bloombury by Carole Klein from Amazon to give to each attendee of her party as part of a goody bag. Interestingly, since the book is out of print, three different versions came, as shown above. 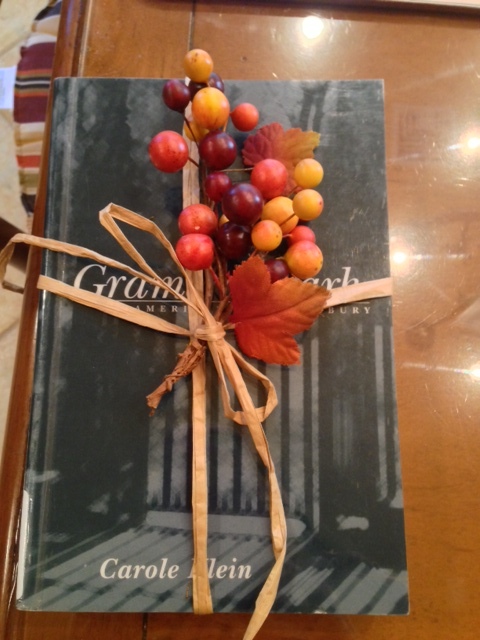 She wrapped each one in raffia with autumn foliage and then placed it in the goody bag with a B211 bookplate attached to the outside of the bag with the respective attendee’s name written on the bookplate. Since Gramercy Park is a well-established garden with mature plantings, Etta felt the gnome walking in the garden bookplate fit the theme perfectly. This lovely artwork was created by John Huchthausen, an artist trained in architecture and religious art who created many designs for the Antioch Bookplate Company in the early 1940s. 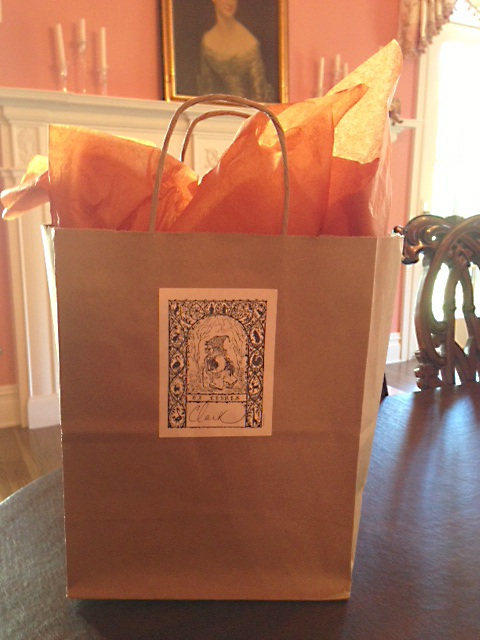 Etta reported that everyone at the party loved the goody bags with their bookplate attached. 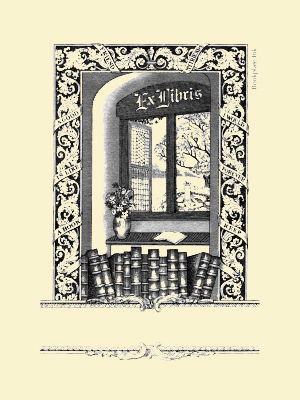 Other customers have used bookplates for guests to place in books for baby showers, to memorialize loved ones with a donation of books, for author signings, to put in books as a party favor at a wedding reception….the list is endless. Let me know if you have a unique use for bookplates!